China and Africa friendship as trade partners can sometimes brings some devastating rumor that can threaten the friendship. The rumor sweeping the entire land of Zambia is that Chinese are sending cans of human flesh to Zambia and Africa. In a statement released by China's ambassador to Zambia, he categorically denied the rumour and deemed it a slanderous misinformation :"Today a local tabloid newspaper is openly spreading a rumor, claiming that the Chinese use human meat to make corned beef and sell it to Africa. This is completely a malicious slandering and vilification which is absolutely unacceptable to us." Even the Chinese state media also accused Zambian tabloids of spearheading the false rumour especially those "people with ulterior motives were attempting to destroy the long-standing partnership between Zambia and China." In the Zambian taboilds "Some reports quoted people who allegedly worked in Chinese meat factories as saying that the practice had begun because China had run out of space to bury their dead or that Beijing reserved its good, nonhuman meat for more powerful countries. Such rumors are, of course, untrue. As the hoax-busting website Snopes.com notes, the photographs shared online that purport to show "human flesh" were from a 2012 marketing stunt for the video-game Resident Evil 6," reported by US Washington post. China has a along time relationship with Zambia and has built many projects in Zambia. But this relationship has not been without troubles. For in the past "there have been a number of scandals involving Chinese projects in Zambia, including an explosion at a factory in 2005 that killed more than 50 Zambian workers." China requested an investigation from the government of Zambia and has received a statement of regrets from Zambian government. Christopher Mulenga, Zambian Deputy Defense Minister was quoted saying that : "The government of Zambia regrets the incident in view of the warm relations that exist between Zambia and China," Mulenga was quoted as saying by China's official Xinhua News Agency. "We shall make sure that relevant government authorities will take up the investigations and give a comprehensive statement." This type of rumour is not peculiar to China. BBC has once written a false news about human flesh being sold and consumed in Anambra State, Nigeria. But later BBC apologized and withdrew the story. 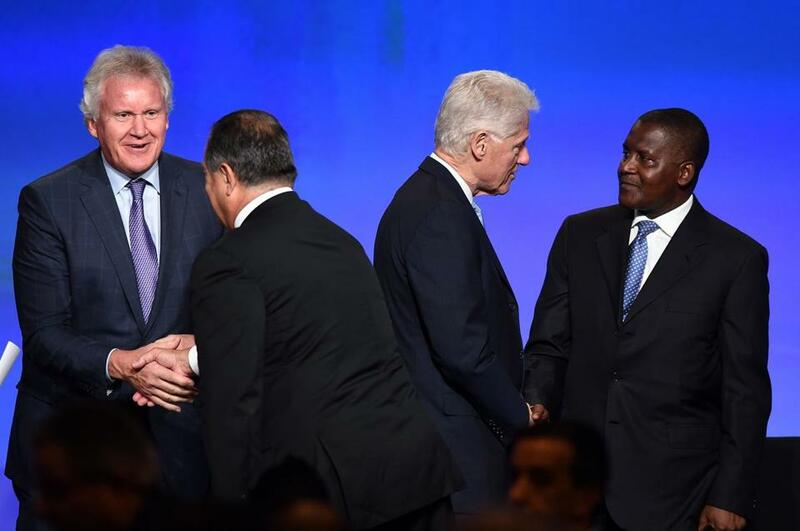 As African leaders gathered in Washington DC on the invitation by President Obama for US-Africa summit, the focus of the summit was centered on trade not aid. But the elephant in the room or in the minds of the summit participants is China. It is there for everybody to see that China’s business and commercial tempo in Africa is rising and rising. China is now the largest trading partner to Africa. Five years ago China surpassed the United States as Africa’s largest trading partner, with Beijing’s trade quantifying at the excess of $200 billion (150 billion euros). “In 1980, the total Sino-African trade volume was US$1 billion. In 1999, it was US$6.5 billion and in 2000, US$10 billion. By 2005, the total Sino-African trade had reached US$39.7 billion before it jumped to US$55 billion in 2006, making China the second largest trading partner of Africa after the United States, which had trade worth US$91 billion with African nations. The PRC also passed the traditional African economic partner and former colonial power France, which had trade worth US$47 billion. In 2010, trade between Africa and China was worth US$114 billion and in 2011, US$166.3 billion. In the first 10 months of 2012 it was US$163.9 billion. Although aid maybe needed now and then, but the key for Africa’s growth must be centered on trade and not aid. Trade is the engine of commercial, economic and industrial development. No industrial nation has emerged on the global stage because of aid. Africa must shunned aid and must focus primarily on trade. “No nation has been more aggressive in Africa than China. Its direct investment in sub-­Saharan Africa has jumped from virtually nothing in 2002 to $18.2 billion in 2012. China is hungry for oil, coal and other resources and eager to develop the roads, bridges and ports needed to pull them out of Africa. Africans tend to favor doing business with China in part because it’s less likely than Western nations to demand economic and political reforms to accompany trade and development deals. Indeed, this week’s summit is seen as an American effort to regain some of the influence lost in the region to China over the past decade. Next year, the United States hopes to expand a 14-year-old free-trade deal with Africa.